Sobers Amadeus Karkati, Best Male, CERT, CACIB, Danish Winner-18, Best Of Breed and Best in Group#4! Ina’s Fashion Deluxe, Best Female from Junior class with JCERT, Danish Junior Winner-18, Adult CERT and Danish Winner-18. 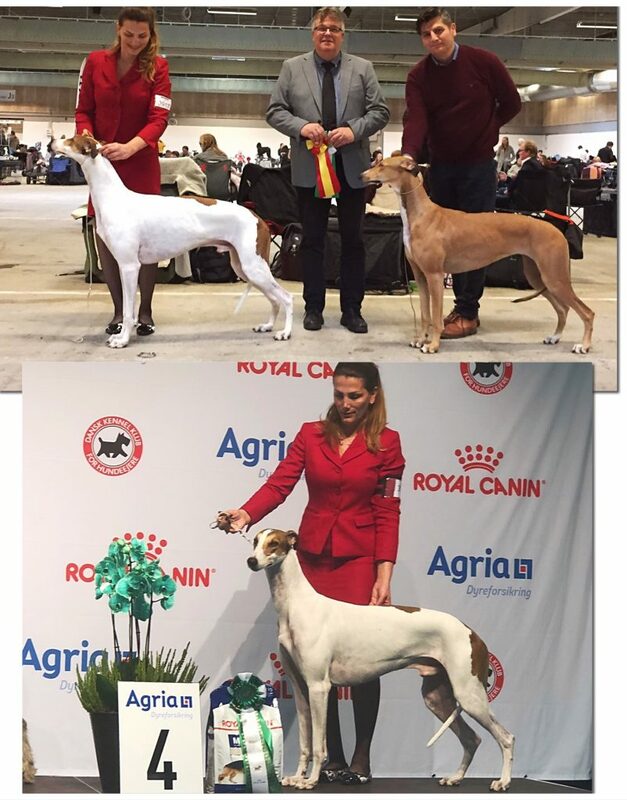 Keziah by being shown only these two days in Denmark she ended up today to be 3rd Best Greyhound in Denmark according to the point system!! !